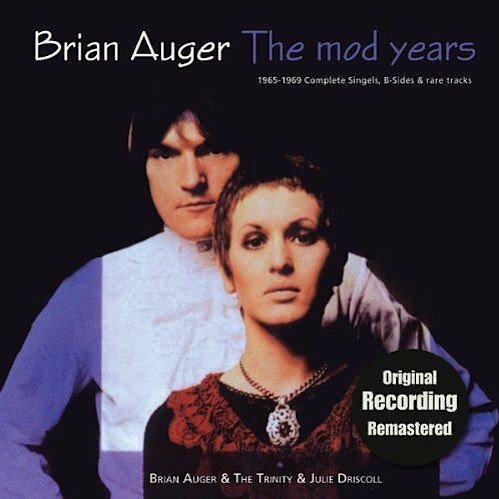 The 21 tracks on this compilation of odds and ends from the '60s don't show up on Auger's regular 1960s albums (either with or without Julie Driscoll). As the title infers, Auger's early recordings were in a more straight-ahead R&B-rock vein than the jazzier and experimental ones he branched into on his albums, although you can certainly hear a good deal of Jimmy Smith-style playing on these cuts. The disc starts off with half a dozen 1967-1968 items that are most likely from non-LP singles credited to Driscoll, Auger, and the Trinity (the liner notes are resolutely unhelpful in this respect), with Driscoll singing on all but one. These are probably the most interesting, progressive elements on the compilation, including covers of Bob Dylan's "This Wheel's on Fire" and "I Am a Lonesome Hobo," David Ackles' "Road to Cairo," and a strong moody original by bassist David Ambrose, "As She Knows" (on which Auger takes vocals). The next five tracks have the most mysterious origins of any of the music on the album, being cut sometime between June 1965 and April 1967, and sounding like good demo showcases for Auger's forceful soul-jazz organ (particularly on the covers of "Green Onions" and Jimmy McGriff's "Kiko"). When he sings in addition, the results are less impressive. Wrapping matters up are the nine tracks recorded in the mid-'60s by the Steampacket (with Driscoll, Long John Baldry, and Rod Stewart sharing vocals). Competent, but not remarkable, blue-eyed British soul, the Steampacket material has been floating around on various reissue packages for decades. Devoted Augerites will thus most likely be interested in the other songs, which tie up some of the most pop-oriented outings of his career and are generally pretty fair, though not outstanding.